Folks, I had a busy 2017 and I didn't keep y'all updated on my doings. Now that I am back in Texas, I want to give everyone a little recap of the past six months. Let the "Ten Thoughts on My Ten Months in Denmark" begin. An incredible shot caught by Lasse Christian as I adjust the spit at Haven Festival. 2017 marked the birth of Haven Festival, a collaboration between musicians Aaron & Bryce Dessner, Mikkeller brewing, and the famed Danish restaurateur Claus Meyer. Held in an industrial sector along the harbor in Copenhagen, the festival featured a rockin' lineup, quality beer, and some damn good food. 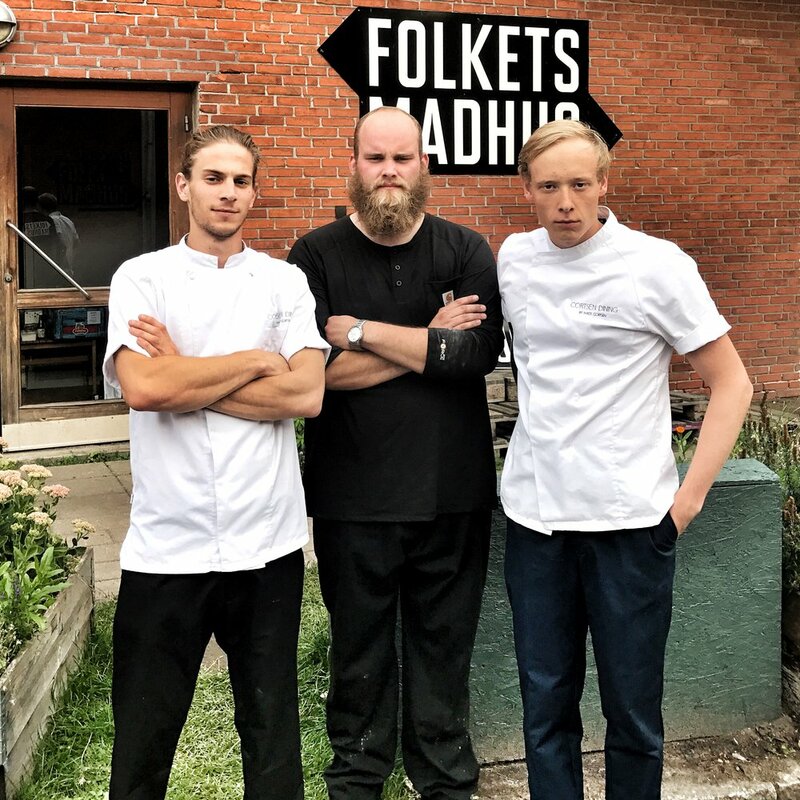 Michael got the call from Claus Meyer’s team – they wanted to feature Folkets Madhus as one of the select organic food vendors and they requested some live fire cooking. We were given a large tent and a ton of metal fencing to create a fire ring. 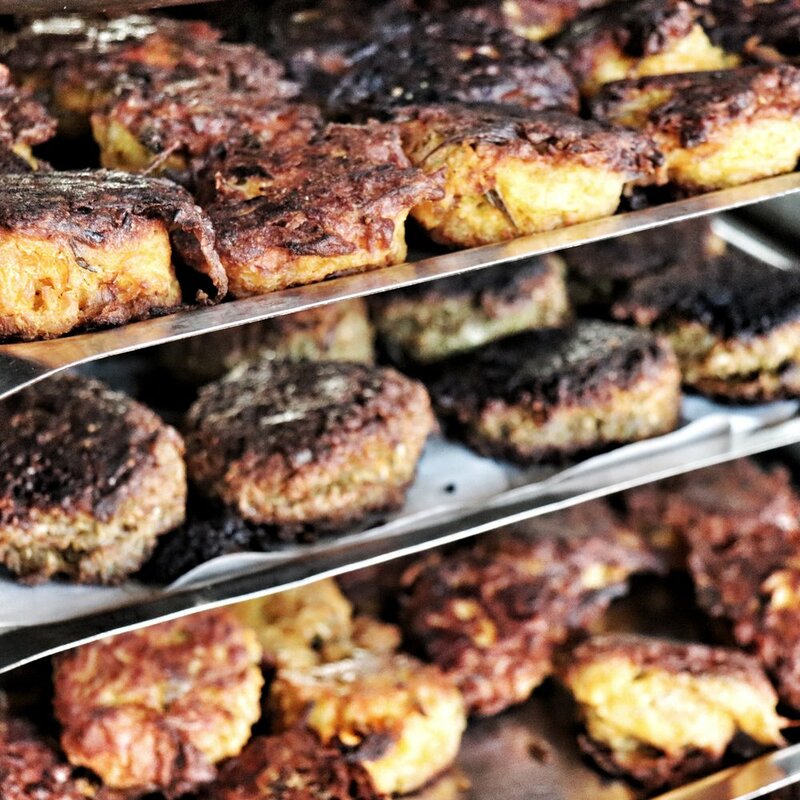 We roasted eight lambs that weekend over open pits then transformed them into burgers. Both the Press and festival goers crowded around our pits to enjoy lamb burgers and to snap a picture of the guy with the cowboy hat and rattlesnake boots. The going joke that weekend was that I was the second most photographed person, next to Iggy Pop. Applying a "sop" to the roasting lamb ensures juicy meat at the end of a long cook. Time to cut up some lamb! Michael and I also got to speak about the Butchers’ Manifesto on one of the small stages. Michael told the story of how the Butchers' Manifesto came about and I gave short account of my travels around the globe. Oh, and I met Claus Meyer. His list of restaurant accomplishments is highlighted by noma, which was rated the best, as in numero uno, restaurant in the world for four times. He must have thought our setup was pretty cool because he put up a picture of the lambs and me on his Facebook page. Claus has already contacted Folkets Madhus about Haven Festival 2018 - He wants to triple the amount of meat over the fire... I might just have to make my way back to Copenhagen for that! Claus Meyer stopped behind our tent for a quick burger - I had to grab a picture with him. 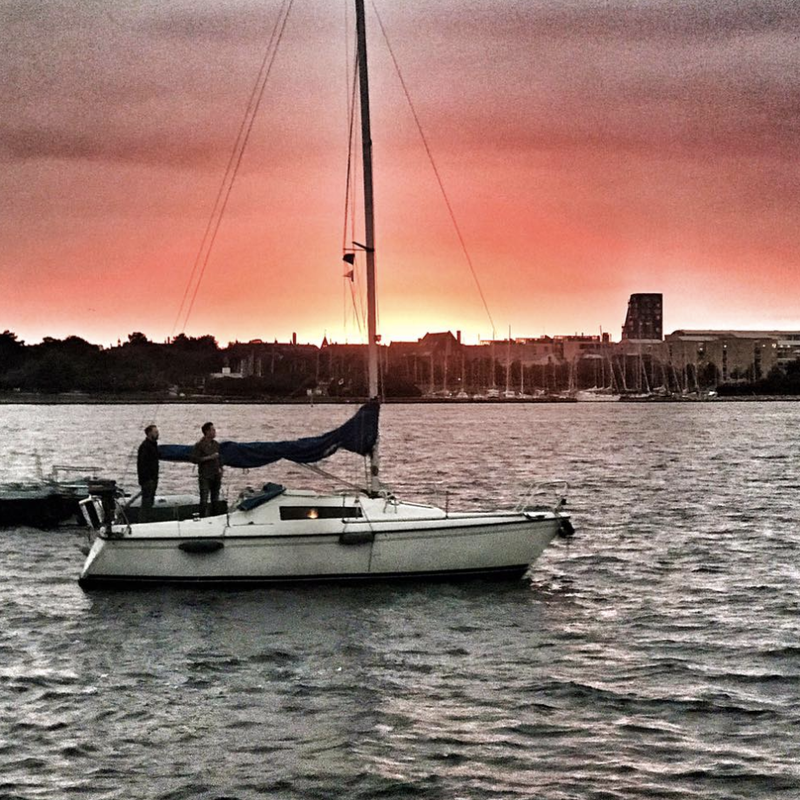 An incredible sunset on Haven Festival in Copenhagen's harbor. Folkets Madhus on a chilly winter morning. -Børn Mad – production of schoolchildren’s lunches for the municipality of Copenhagen. -Private Events – catering for weddings, birthdays, and special events. One of my favorites is corporate team building cooking classes. -Butchery – wholesale fresh meat and charcuterie production. The Børn Mad crew of Folkets Madhus - I'm pushing for good food, not smoking! The Børn Mad crew is responsible for 700-800 meals each weekday. At maximum capacity, the kitchen can crank out over 1600 meals per day. Every morning, the team arrives around 5:45 AM to begin the day’s work. Over the next eight hours, they prepare various healthy meals and individually pack them into lunch boxes. Then, these freshly made lunches are delivered to schools around the city. What kind of healthy stuff? Hummus, beetroot salad, liver pâté sandwiches, pasta, and fish cakes. Sources of vitamins and fiber are always included. Fresh fruit and vegetables such as carrots, cucumbers, or bell peppers top off each box. Once or twice a month, the school kids get freshly baked pizza – but not the kind that comes out of a Dominoes or Digorno box. These pizzas are topped solely with tomato sauce and pesto. Each lunch box is carefully packed and then delivered to the school. Healthy, right? Over 90% of the ingredients used in Børn Mad are certified organic. 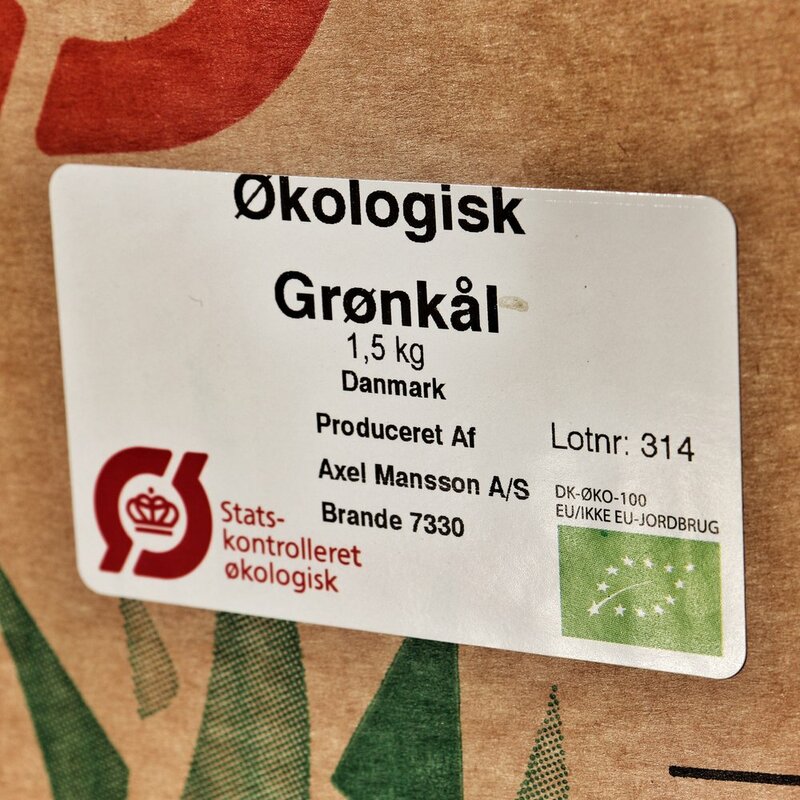 The green leaf logo in the right hand corner signifies an organic product in the EU. The Danish school children have it pretty good. I remember school lunches from my childhood – mostly unpleasant memories of “mystery slop.” My late grandmother worked in the lunchroom so you know I’m being kind. She always complained that the government shouldn’t feed that crap to kids. 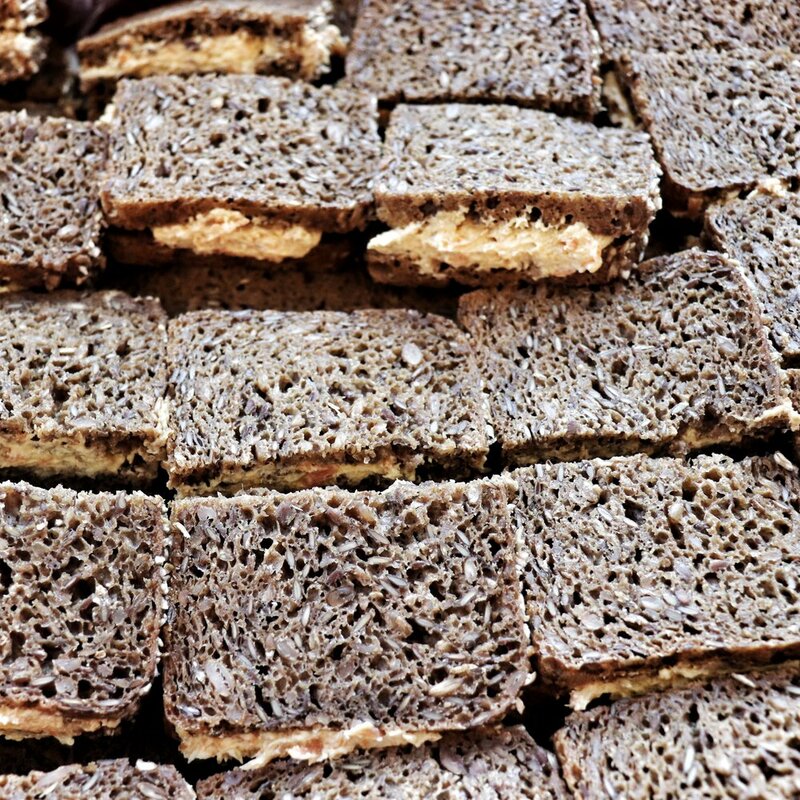 The Danes love their rye bread! Children’s food should be the starting point when tackling America’s obesity problems. And our great country definitely has problems - about 40% of the American population is considered obese. Compare that to Denmark’s average of 14%. What are they doing that we aren’t? Danes don’t feed crap to their kids. Let’s start there, America. Jack Matusek makes food real again and it is not about all the fancy hipster stuff. Everyone always asks how I can afford to travel and live in Europe. Even on my off days. To keep the travel funds at a safe balance, I am always on the lookout for a side gig. Enter Mads Cortsen - Mads (say, "Mess") has been in the kitchen since the age of six. Instead of the traditional cooking school, he purchased cookbooks from celebrity chefs and tore through them, page by page. At the age of 16, he debuted on Denmark’s most famous cooking program, Masterchef, eventually placing second and capturing the hearts of his native land. As a rising star in the emerging Neo-Nordic cuisine, the culinary world opened itself to Mads. He received tons of offers before deciding to join the team at Kokkeriet; a Michelin starred restaurant in Copenhagen. After a few years on the fine dining scene, Mads decided it was time for a change: He walked out of the commercial kitchen and opened his own catering company, Cortsen Dining. Cortsen Dining is like no catering company you have ever seen – Mads comes to your house, in a car loaded down with food, equipment, and a vast array of magnificent plates and dishes. As his guests relax in the comfort of their own home and even yachts, Mads owns the kitchen, producing phenomenal meals ranging from five to twenty-five courses. 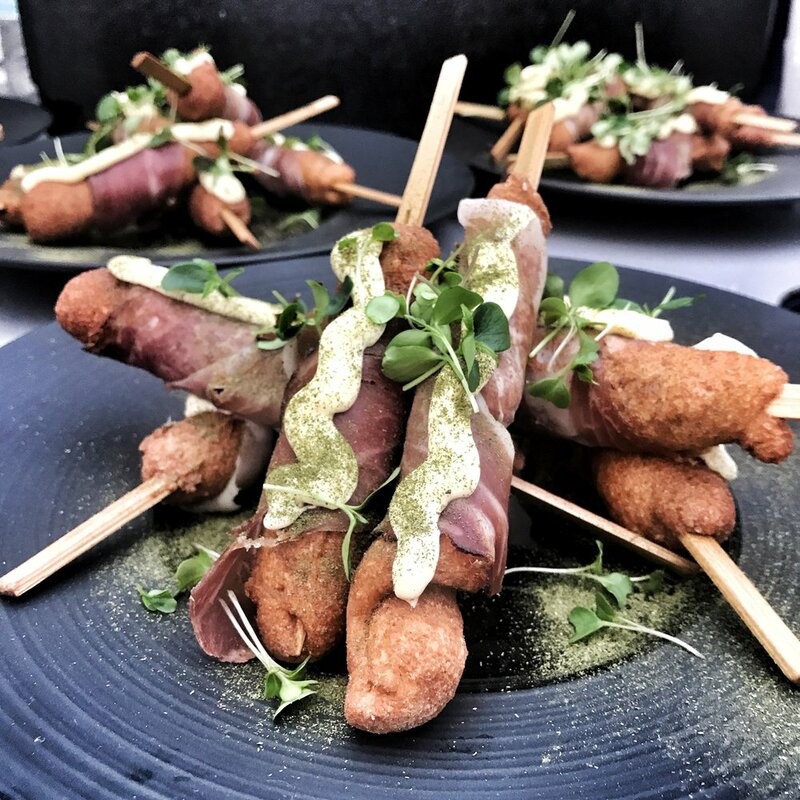 The ‘in-home Michelin catering” concept caught on quite well – to the point where Mads was booking three to four parties each weekend. 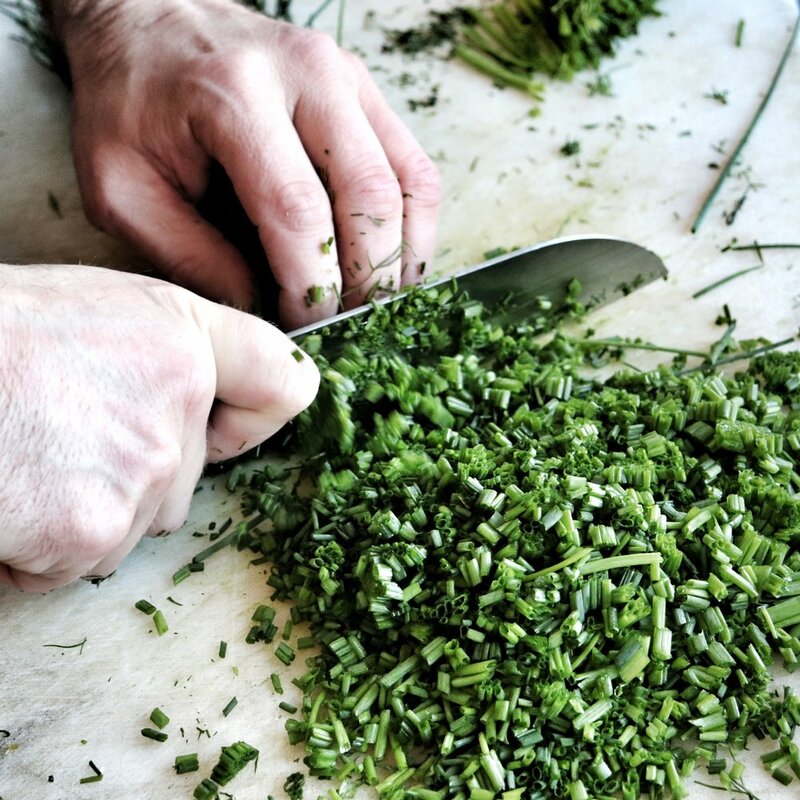 One crazy, talented chef and four dining’s in a weekend – the guy is always on the go. Did I mention he is only 21 years old? So in late August when Mads had an especially difficult week, he came to Folkets Madhus looking for a sous chef – somehow I landed the gig. For the next 72 hours, Mads and I worked like madmen. The first night, we hopped on a harbor tour and served six courses to over 60 patrons. We improvised on a small sinkless countertop in a packed cabin working shoulder to shoulder. Plating was a task with the rolling waves making a steady hand near impossible, but all the same, we cranked out six beautiful dishes and still had time to take in a quick scenic view and a few cold libations. Prep work done - off to the location. Our kitchen and dining hall for the first evening with Mads. A glance at our cramped prep station aboard the Copenhagen Harbor tour boat. Mads trusted me enough to make all the sausages for the evening. Baby Shrimp, toast points, and aoili. Snogbrød (snake bread) wrapped with two year old prosciutto. Mads is always so calm in the kitchen. The following night was typical for Mads – a sixteen-course meal for eight in a beautiful downtown apartment. As Mads “created,” I kept busy around the kitchen – warming plates, knocking out dishes, and prepping ingredients. We came together to plate – Mads, precisely plating with tweezers, and Me, following with additional garnish and a vodka-soaked towel to tidy up any small spills. Pickled Japanese Nashi - incredible! Pickled strawberries piled atop monk fish. 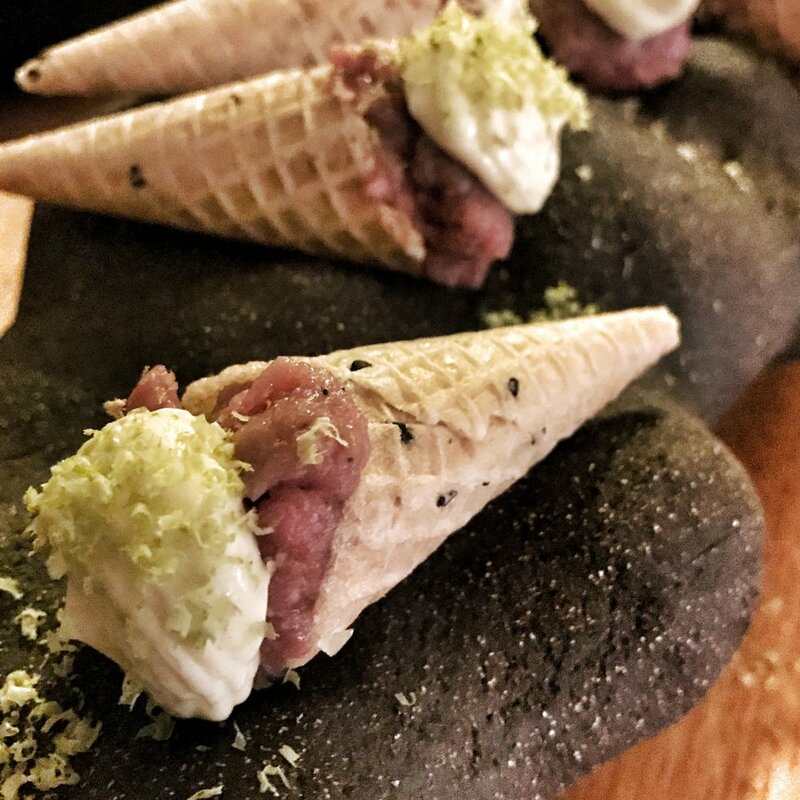 The last event was the grand finale – twenty courses for eight people, one of which happened to be one of the most respected “foodies” in Copenhagen. Upon Mads arrival, he informed me that his refrigerator had broken the previous evening and all the prepped food had spoiled – things were about to get very interesting! So we busted our tails that morning to recreate the twenty five-course meal then packed everything to the location only to unload and carry everything up seven flights of stairs (read no elevator). I made numerous trips up and down the stairs, arms burdened with expensive plates, food, and a large container of liquid nitrogen that more closely resembled a bomb. 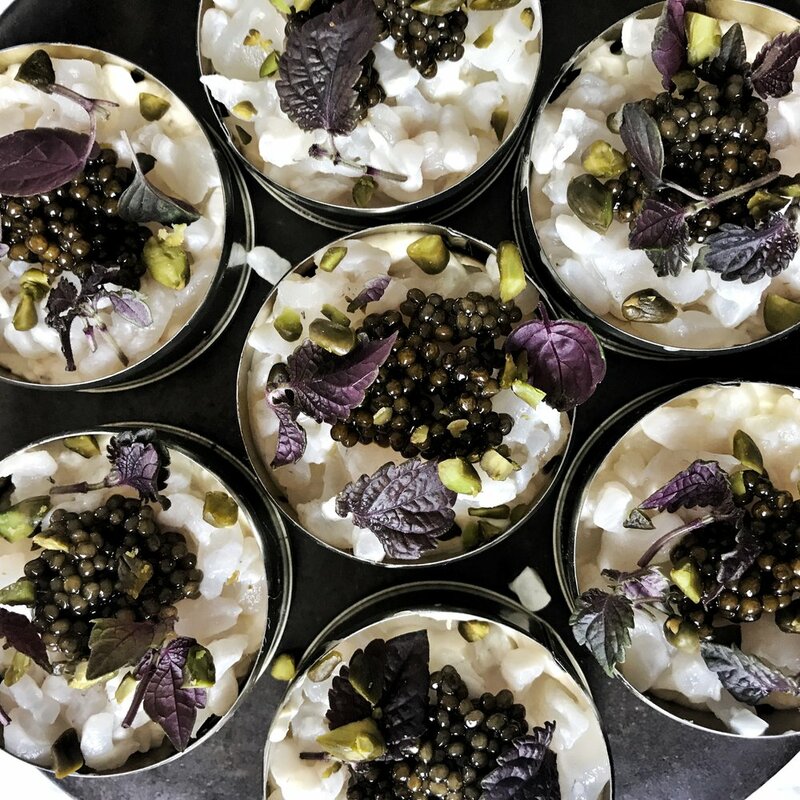 That night, Mads went all out – caviar, lobster, quail, reindeer, and perhaps my favorite Cortsen dish – the Sugar Orb. Mads commanded everyone’s attention as he created hollow globes of sugar which he then filled with several kinds of sorbet – it was quite a show! Oysters, Mexican cucumbers and caviar. Another take on beef tartar from Mads. Mads putting the liquid nitrogen to work - dinning with his really is an experience! Mads Corsten is a talented one – It was an honor to work beside him. For three days, I felt like I had been thrown into an episode of The Chef’s Table. Thank you, Mads for allowing me the privilege. Watch out world; this Danish kid is gonna tear the food world up!